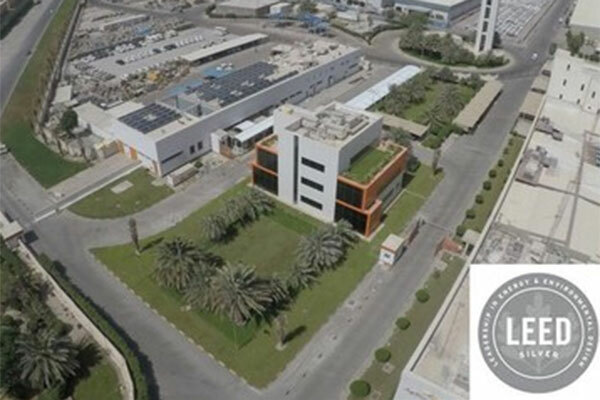 Swiss-based TVP Solar, a leader in high-vacuum mirrorless solar thermal collectors based on patented technology, has announced the completion of a one-year study of its solar thermal panels at a live client site in Kuwait. The results prove TVP's best-in-class performance operating up to 200 deg C as recently certified by Din Certco Solar Keymark. The solar field in Kuwait produces a massive amount of thermal energy - 750 kWh/sq m/year - with a peak efficiency of 57 per cent, validating certification values. "TVP has proven itself a game-changer," said Piero Abbate, TVP's CEO. "Our super-performing panels predictably deliver massive thermal energy for the most energy-consuming applications, even in harsh environments like the Gulf." The solar field delivered up to 180 deg C to directly drive a double-effect absorption chiller and supply air-conditioning to the new Agility headquarters in Sulaibiya, Kuwait. Over 365 days, the system ran automatically and unattended with 98 per cent reliability, showing a mere eight per cent of efficiency loss due to soiling effect; this was achieved without a single day of panel cleaning. The TVP solar-driven cooling system contributes 73 per cent of the points for the new building's LEED certification. Operating from 10 am to 3 pm (on average per day), with ambient temperatures up to 62 deg C, solar thermal energy supplied 70 per cent of the daily cooling load, matching the peak load.